Foxeer, one of the must active player on the drone camera market, just announced their second generation GoPro Session alike camera. While the Foxeer Box 2 cam has the same size of its predecessor, it comes with a bit different design. This new version is completely black and will be capable to be used with ND filters. Instead of micro USB charging/data port features the Type-C socket. In addition to the 4k@30fps video recording, the Foxeer Box2 features slow-motion (4x and 8x) and time-lapse video modes. Thanks to the WiFi and Bluetooth connections, the camera can be remotely controlled through your smartphone. Optional waterproof case, Bluetooth remote controller, external microphone and UV Filters. 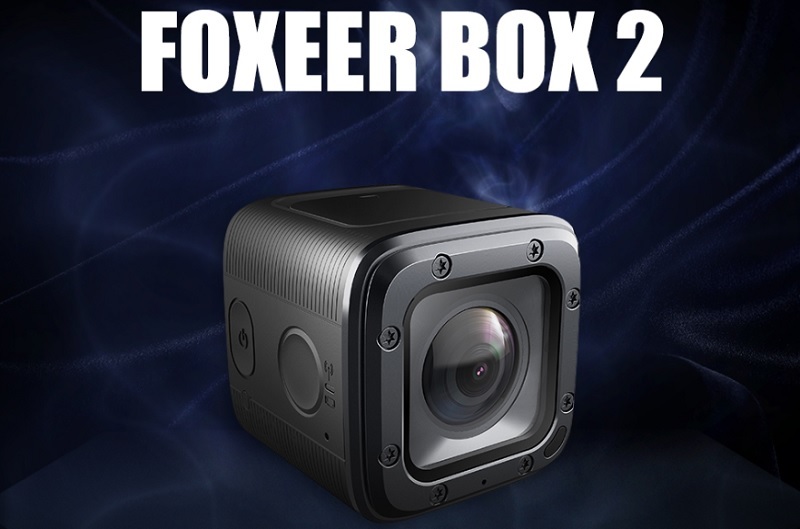 As you can see in the image bellow, the Foxeer Box 2 camera has only two buttons. One allows to power on/off the camera and the second one to control the camera. Micro SD slot, HDMI out and USB-C port are found on top of the camera behind of a removable flap.